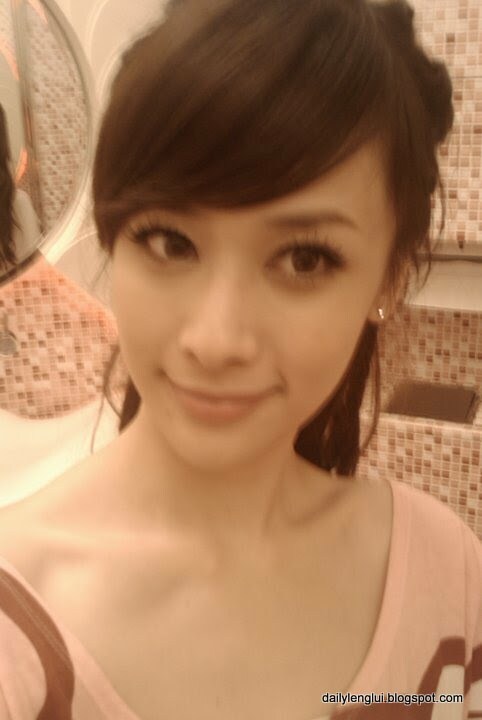 About: Emily Hung Yu-Han 洪于涵 or better known as Hong Tang 洪棠 is a popular Taiwanese celebrity renowned with her 32E good figure. Hong Tang currently studying in Department of Tourism at Aletheia University (真理大學) in Taipei, Taiwan. When Hong Tang was asked to share her secrets for those 32E figure, her answer was green papaya yam stewed pork soup. Since the ancient time, the green papaya enzyme is the best fruit for breast enhancement while yam helps in female hormone balancing and breast enlargement. In addition to these natural supplements, Hong Tang also practices yoga to tone up her body figure. Anyway, only the best of Hong Tang available here, all filtered by http://dailylenglui.blogspot.com.